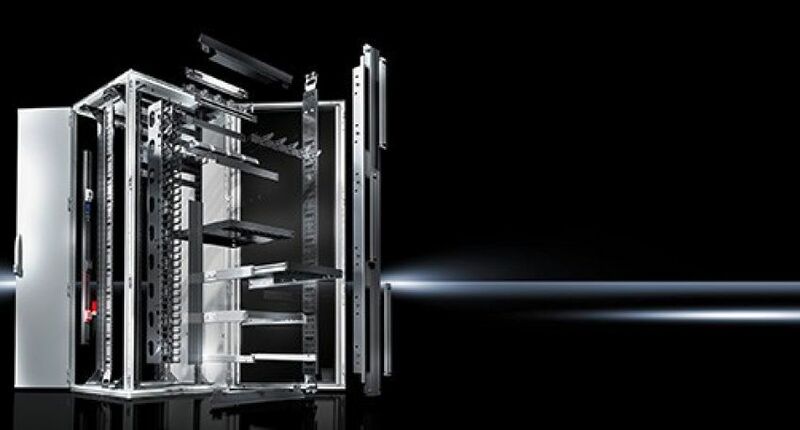 Effective IT rack components and cable management | Rittal - The System. 14.09.2015. Precise planning of internal components is critical, especially when IT racks are not installed in a standardised data centre environment. 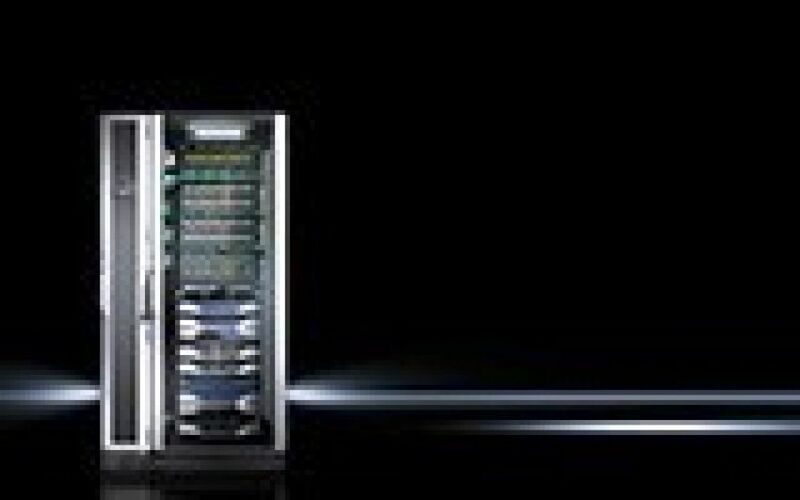 It is important to consider a number of criteria before selecting a rack: its exact purpose, the routing of cabling for power supply and networks, and the ideal cooling solution. Rittal presents five key questions, and their answers, to help optimise internal component configuration, installation and commissioning. The number and type of components will impact the size of the rack. If it will simply be used to house servers, then an IT rack 600 mm wide will suffice. However, if it is primarily for network components, the rack should be 800 mm wide to accommodate the cabling. Increasingly, enterprises are combining server and network components within individual IT racks. As IT takes on an increasingly significant role within organisations, more and more components are packed in to make best possible use of existing infrastructure. As a result, the largest available racks should be selected – in line with space constraints. An IT rack that is 42 units high, 800 mm wide, and 1,200 mm deep provides ample room for custom configurations, and allows future additions. Will the rack be installed in a room that does not have an integrated cooling system? Then various possible solutions need to be looked at. If only a single IT rack is to be deployed, then a cooling unit can simply be attached to it externally. Additionally, the rack should have a door with an air-tight seal. If entire room or row cooling is to be implemented – arrangements that are typical in data centres – then a perforated door is needed to allow continuous airflow. There are also a variety of options for cooling IT rack interiors. In server enclosures, cool air should flow from front to back; in network enclosures, this current should move along the parts that need to be cooled. In both scenarios, it is important to seal off the 19″ shelves to ensure cool air does not flow away from the targeted components. Open rack units should be closed off to separate warm and cool air. To this end, there is a diverse range of accessories available to enhance cool-air routing, enable horizontal airflow, and more. Effective seals and climate control solutions tailored to the IT rack’s specific purpose translate into improved energy efficiency. A little bit of planning goes a long way when it comes to cutting electricity costs for IT operations. A detailed plan for interior and exterior cable routing should be in place before a server enclosure is purchased and configured. In particular, the power supply has to be considered. Many active IT components require redundant power supply. This means there are two power distribution units (PDUs) – making cable management more complex. Moreover, power and copper data cables must be kept apart to avoid interference. And special attention must be paid to the minimum bend radius of fibre-optic cables to prevent signal attenuation. If the racks are to be placed on a raised floor, then power and network cabling can simply be laid underneath. A common alternative is to mount cables under the ceiling and route them through the top of the rack into the interior. In this scenario, the roof plate needs to be configured correctly – openings should be closed off with brush strips, creating a tight seal, simplifying cable management, and improving energy efficiency. Even after cables have been installed, accessories, including roof plates with multiple parts, can be easily removed for simpler maintenance and retrofits. Rittal offers a choice of elements for effective cable management, enabling custom component configurations. Both open and closed cable duct systems are available – for horizontal and vertical cabling, and cabling between thermal zones. Frequently, air-tightness and a defined air pressure must be maintained to prevent warm air and cool air from mixing. Rittal kept this in mind when designing the TS IT server enclosure. It supports air circulation in diverse configurations – in conjunction with the corresponding cable installation components. Crowded IT racks have little space for new components. In these cases, one possible answer is to route cables outside of the racks. In many cases, cable ducts can pass through the side of the rack, and the cabling can be routed over the top, and re-enter the rack from the opposite side. Although this approach can save a great deal of space, it may make identifying individual cables more difficult, and maintenance work more complicated. Wherever easy maintenance is a priority, cables should be routed inside the racks. Pinpointing and replacing a single cable is much simpler should there be a failure or if a reconfiguration is required.